People of Shambhala Music Festival, our schedule was released a couple days ago & some of you noticed a few TBA’s in there. Representing Dirtybird and Skrillex’s OWSLA, San Francisco’s “Future Booty Bass” DJ Worthy has been added to The AMPhitheatre’s roster. 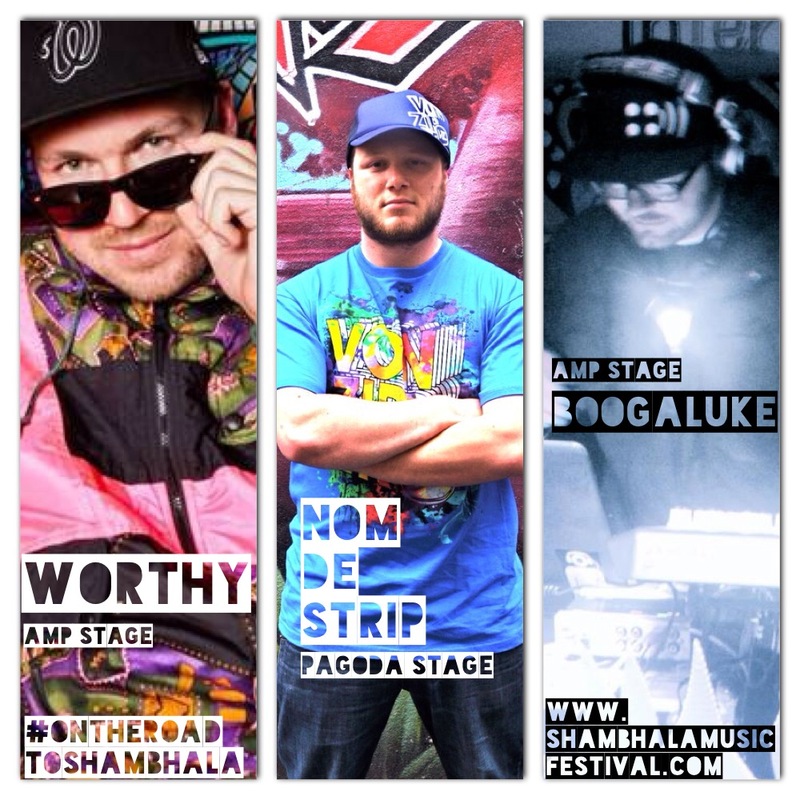 The AMP has also added Banff-local, Boogaluke, of the 4dot soundcrew. The Pagoda Stage has an addition as well; Scotland-native & now LA-based Nom De Strip will be making the trip back to the Salmo River Ranch to grace The Pagoda Stage once again, after a spellbinding performance in 2010. This entry was posted in Music, On The Road to Shambhala, Posts by Steen and tagged 2013, Announcement, DJs, Electronic Music, Farmily, Love, Music, Pagoda, Schedule, Shambhala, Shambhala 2013, Shambhalove, The AMPhitheatre. Bookmark the permalink.